I’ll be your master and certainly contract some kind of…fever… | Pulp and Circumstance, Juiced. 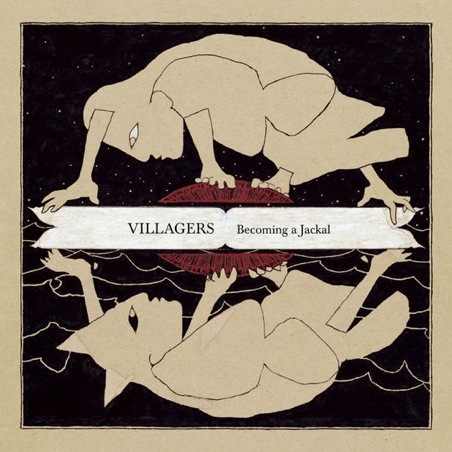 It’s hard to believe the at times gigantic, cinematic sounds coming out of Villagers debut record, Becoming a Jackal, is the work of one man: Conor O’Brien. The musician, who is apparently allergic and or fearful of bands after the breakup of The Immediate, has put together a pretty smashing record, which has received quite a bit of chatter in the last few months in the blogosphere. Becoming the Jackal, released today stateside on Domino, creates this absolutely robust sound despite aiming to avoid tricks and loads of basted turkey and dressing, for lack of any better description. Most tracks are crafted with strategic ease and feature a pop-folk exuberance unmatched of late. It’s filled with playful guitar plucking, intriguing lyrics, and a build up of reverb and crescendo that absolutely screams hit repeat. P&C contributor Thom Lau (who apparently hails from the same Irish town near Dublin city as O’Brien) will catch up with Conor when he makes a stop in Boston later this month in support of the new record, so stay tuned. In the meantime, you can stream the entire record here. Stand out tracks include “Ship of Promises”, the lead single “Becoming a Jackal”, “Twenty Seven Strangers”, “Set the Tigers Free”, and “The Pact (I’ll Be Your Fever)” for its whimsy love and catchy riff (“angels were singing” is true…fact). A village will love it. Gobble. This entry was posted in jwolf and tagged villagers. Bookmark the permalink. ← A novel idea…pioneering covers?